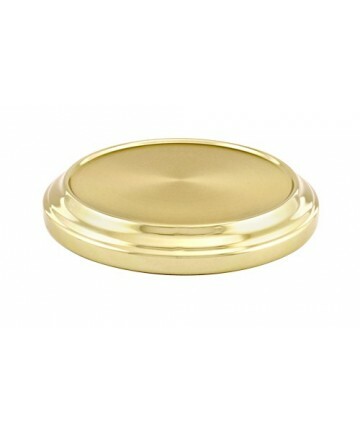 The stacking bread plate base is used for the bread plate cover to be place on during the communion service. BRASSTONE ALUMINUM has a permanent, polished finish due to an exclusive anodizing process. 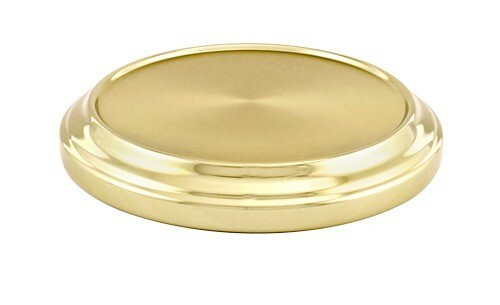 It never requires polishing, and the beautiful finish matches other brass appointments. 8 1/4" dia.